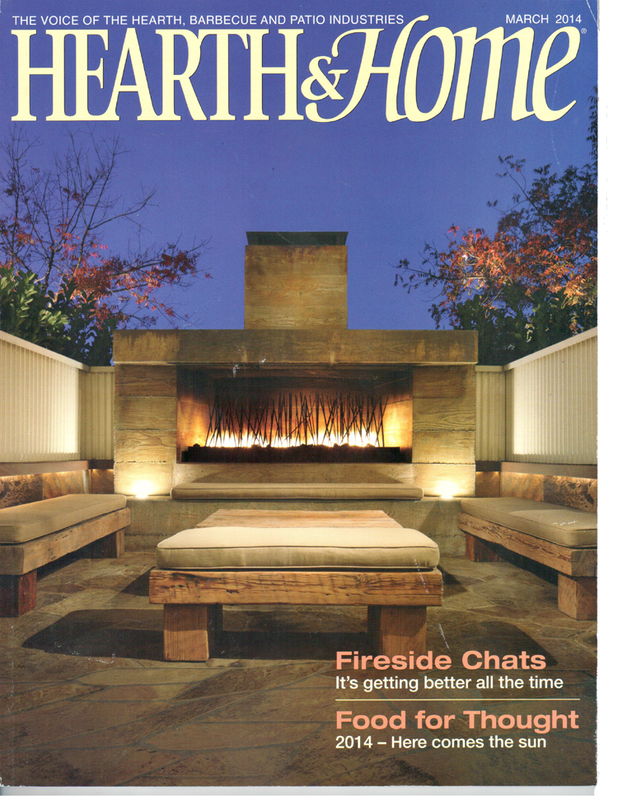 Hearth & Home recently ran a feature article on one of our vendors, Greenforest Fireplace and Patio in their March 2014 issue! 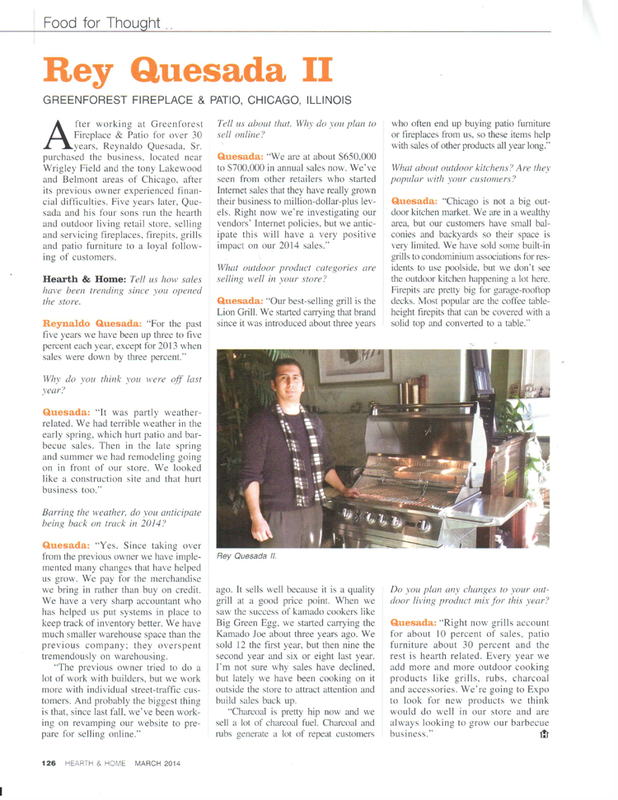 Greenforest is located in Chicago, IL and is owned and operated by Rey Quesada. The interview is both an interesting and informative read and should definitely be checked out. 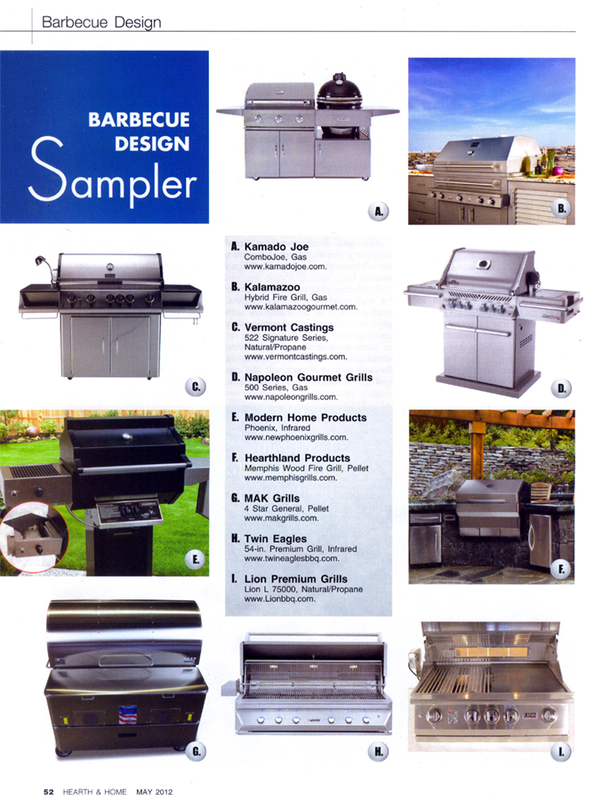 Thanks to Greenforest for also featuring our Lion Premium BBQ Grill Cart in the article photo! 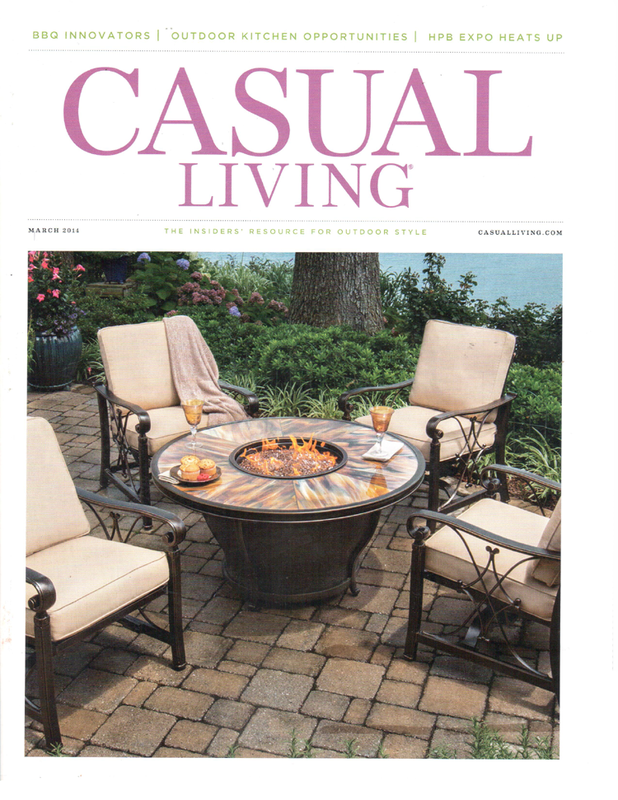 Lion Premium Grills were also just featured in the March 2014 issue of Casual Living! 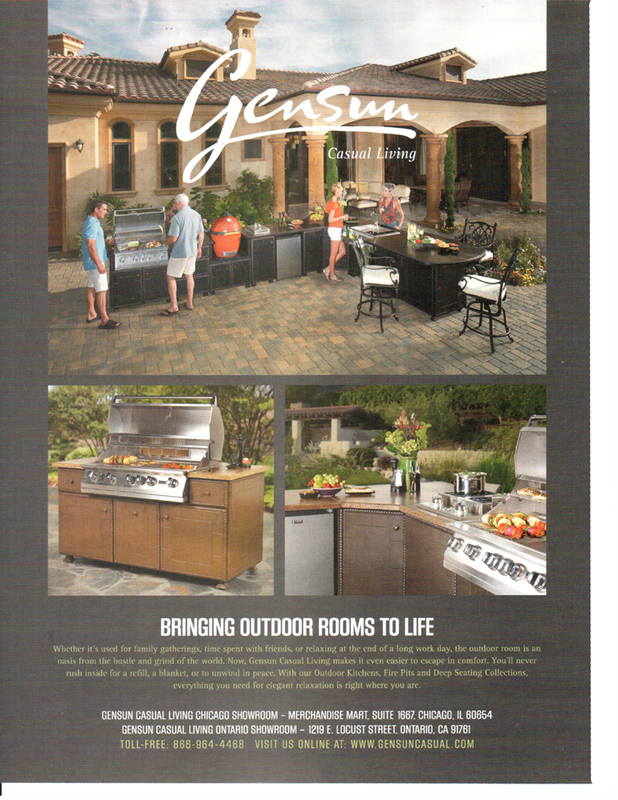 You can spot our grills in the Gensun advertisement as featured below. Many thanks to Gensun for spotlighting our premium products! HGTV’s Spontaneous Construction featured a host of Lion Premium Grills products on a recent episode! Please enjoy the following clip from the show. 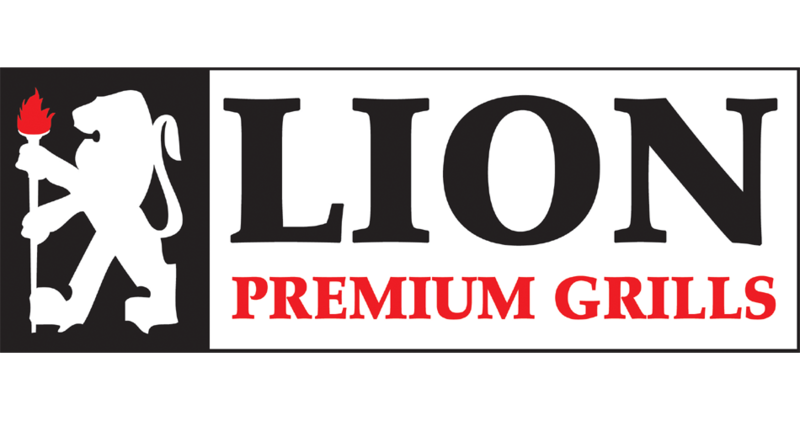 Lion Premium Grills was featured on an episode of the DIY Network’s Yard Crashers! Enjoy the clip. Lion Premium Grills recently had the honor of offering our very own Superior Q BBQ island and grill on The Price is Right! Check out the provided video clips for more details. Lion Premium Grills was featured at the 2013 California State Home & Garden Show on CBS’ GoodDay Sacramento! Catch our segment beginning at the 1:23 mark. Enjoy! 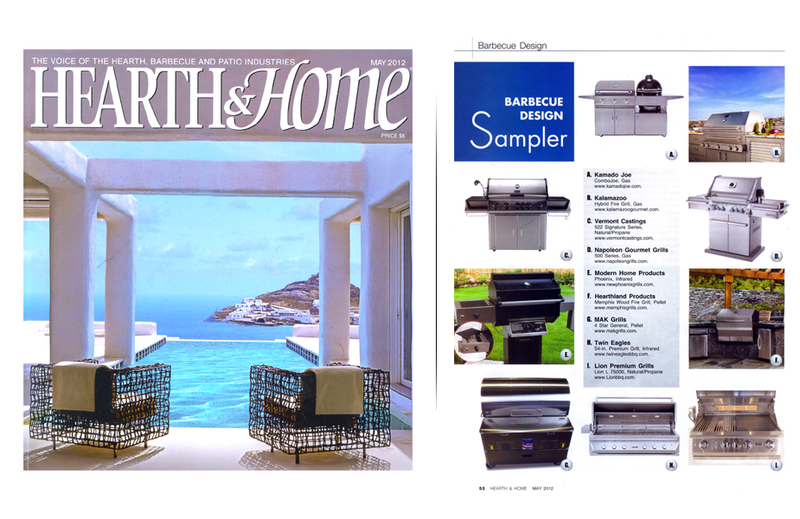 Lion Premium Grills has been recognized by Hearth & Home Magazine— the voice of the hearth, barbecue, and patio industries– in their May 2012 issue for top product design! Click below for more details.